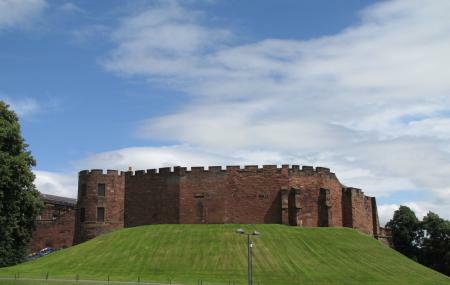 Chester Castle is located in the city of Chester and overlooks the River Dee. The place is sited at the southwest corner of the area bound by the city walls. The castle has remaining parts of the medieval castle together with neoclassical buildings which were built in 1788 by Thomas Harrison. The castle can only be explored with the help of a guided tour and is one of the most famous attractions in the place to enjoy with family and friends. Access to Chester Castle is by guided tour only. Timings differ from time to time and hence can be known locally. Buses from o/s Ye Olde Kings Head can be taken. Trains can be taken from NCP Arriva Trains Chester Station East Car Park to reach the location. How popular is Chester Castle? People normally club together Chester Cathedral and Chester Guildhall while planning their visit to Chester Castle.